We’ve had our launch day excitement in the US back in June, but now it’s our European friends who are looking to get their first glance at the Palm Pre. 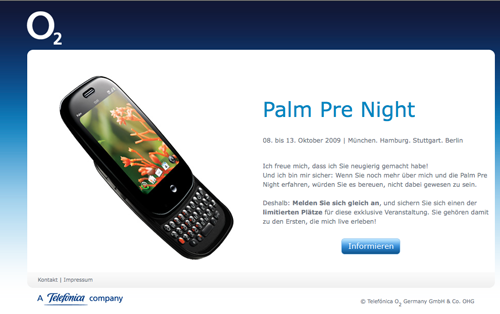 O2 in German is hosting Palm Pre Night, an exclusive event for customers to live the Palm Pre experience. Our German is spotty, but it appears it starts on October 8th and runs through October 13th at various locations throughout Germany. For more information, please visit O2’s Palm Pre Night site. We’re just a few weeks away from the O2 launch in Europe and the first reviews are starting to trickle in. For those in the US, the GSM Palm Pre is virtually identical to the CDMA counterpart available on Sprint, albeit the GSM models have a SIM card slot. 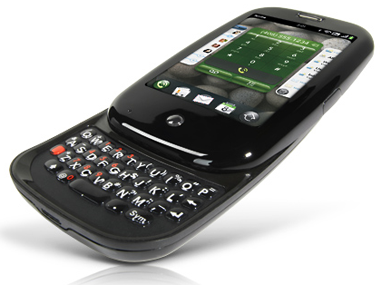 The GSM version will also run an older version of webOS, but Palm expects to bring parity to all models later this year. The guys at Slashgear have put together a rather comprehensive review. Like so many, they are excited about webOS, but do question the limited storage and suggest users test drive the keyboard to determine “how well it suites their finger size”. Times Online’s review reads more like a comparison of the Palm Pre vs the iPhone. In fact, the reviewer concludes his review stating he’ll be “hanging on to his iPhone”. The sticking point(s) for the author seems to be the storage size of the Pre and the lack of a huge App Store. Apple took over a year to introduce their App Store. While Palm has been slow to add applications, the company is clearly taking steps to make it easier for developers to bring apps to the Pre. The expansion of Pre owners that will naturally occur with the release on O2 and Telefonica will certainly add to the growing list of reasons why developers will choose to create applications for webOS. For those in the US, the GSM Palm Pre is locked to their respective carriers. We’ll have to wait for a GSM model to land in the US. Anyone looking for an AT&T model? If so, can we give it the much needed boost to 16GB? Keeping up the theme today, we’ve got our next “in the wild” photo. 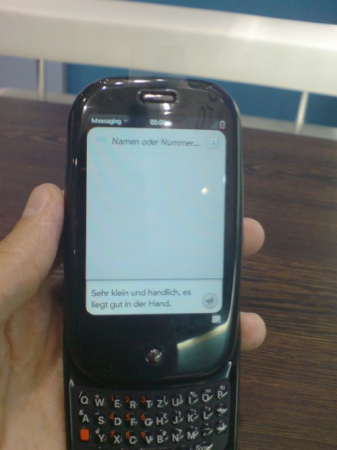 This time, das GSM Palm Pre scheduled to debut on O2 later this month gets pictured. Full packaging and the like available on our German counterpart. 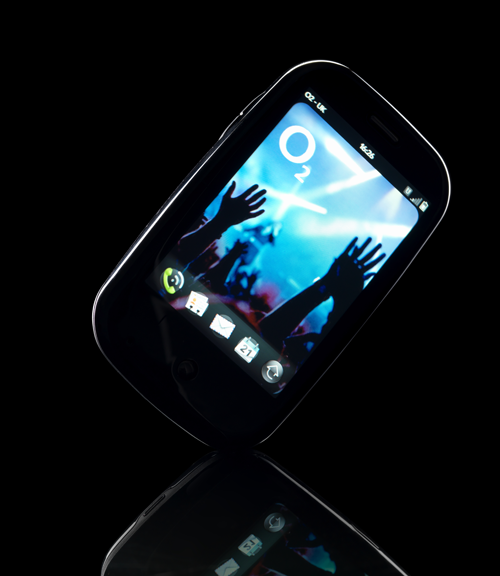 O2 has announced details regarding pricing and availability for the Palm Pre in the UK, Ireland and Germany. The Palm Pre will be available on Ocotber 13th in Germany and on October 16th in the United Kingdom and Ireland. O2 will be the exclusive carrier in these markets for the launch of the device. Pricing and plans are available at the respective O2 websites. For those in the US, this marks the first release of a GSM based webOS device. Could AT&T be in the cards for early 2010? Any interest from our readers? UK wireless carrier O2 has announced the launch of the Palm Treo 500 smartphone, a Windows Mobile based Treo that was previously available on Vodafone. The Treo 500 is sort of an odd bird in the Treo family, as it is the only smartphone from Palm that does not feature a touch screen. 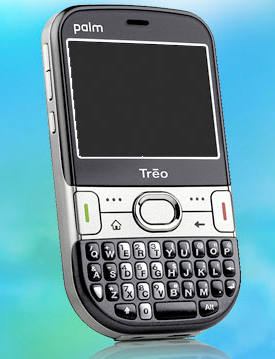 The Treo 500 ships with Windows Mobile Standard (previously known as the "Smartphone" edition), an OS that does not support touch screen. 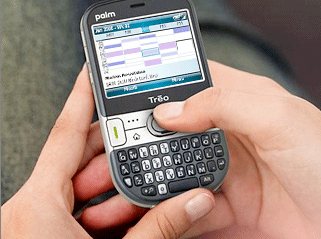 Suprisingly, Palm has chosen not to market the Treo 500 in the US, despite the success of smartphones like the Motorola Q and Samsung Blackjack. Here in the US, the wait continues for Palm’s next generation Windows Mobile smartphone that many expect will be called the Treo 800w.